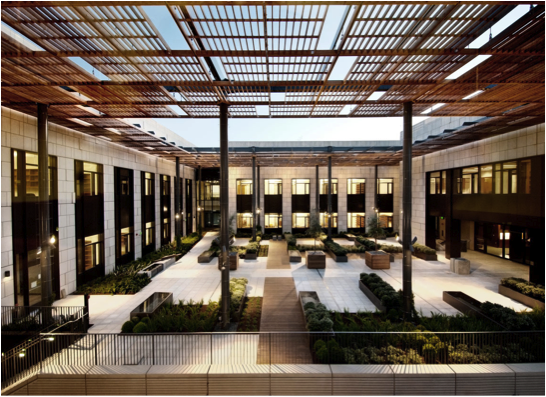 The building, named after Stanford law alum and SF Giants Managing General Partner, Bill Neukom, sets a new standard for collaborative, integrated education. 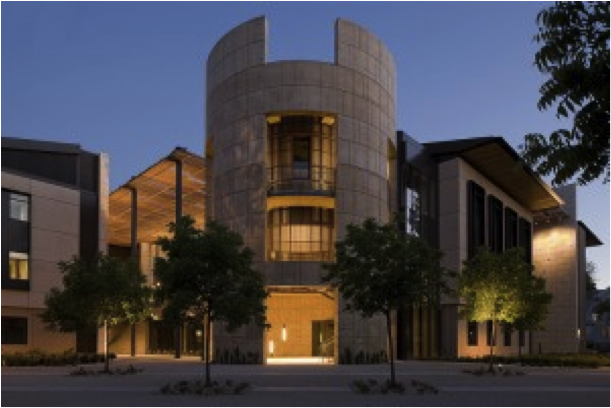 Building features include a towering rotunda that echoes the campus’s main entry way as well as a faculty garden, informal meeting spaces, faculty offices, student lounges, and the Mills Legal Clinic. The design team, led by New York based Ennead Architects, included Degenkolb, MKThink, Cheryl Barton, Taylor Engineering, The Engineering Enterprise, Wilsey Ham, and Atelier Ten. Dome Construction served as general contractor. The building reflects the university’s sustainability initiative and satisfies the equivalent of a LEED Gold Certification by meeting key sustainability requirements in the areas of site planning; water management; energy use; materials, resources, and waste; indoor environmental quality; and innovation and design.